Please rate or review Incredibly Interesting Authors on iTunes. How did Trump manage to become president of the United States? There's no simple answer. It involves fear, racism, nationalism, populism, hatred, dirty tricks, manipulation, and more. But the one thing I never suspected was that occult beliefs and practices played a part in Trump's surprising victory. 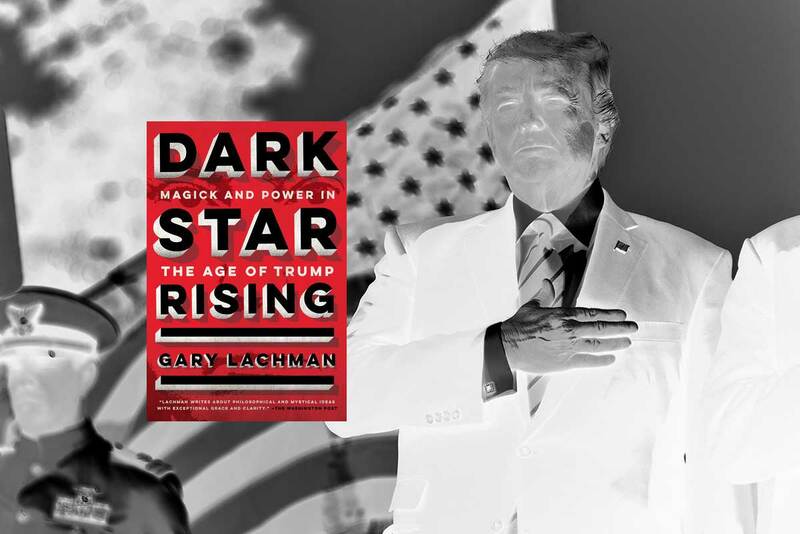 In Gary Lachman's new book, Dark Star Rising: Magick and Power in the Age of Trump, I learned that occult and esoteric thinking permeates the alt-right, Putin's inner circle, and even Trump himself. Before I read Dark Star Rising, I had no idea that Trump was a devoted follower of the New Thought movement, which has it roots in 19th century mysticism. Trump's family attended Marble Collegiate Church in New York, which was ministered by a pro-Christian nationalist named Norman Vincent Peale, who promulgated a doctrine of "positive thinking" -- the idea that you can use your mind to cure yourself of disease, get rich, or even become president ("Change your thoughts and you can change the world"). I also didn't know that the alt-right bases much of its ideology on an Italian philosopher and mystic born in 1889 named Julius Evola, who thought the problem with Mussolini was that he wasn't a big enough fascist. And then there's Aleksandr Dugin, a very influential Russian fascist philosopher who is a kind of Rasputin figure for Putin and who pushes the idea that the only way to return Russia to greatness is by wiping liberal democracy off the face of the earth. Dugin is relatively unknown in the West, except among members of the alt-right and the dark enlightenment, who would love to install the kind of fascist regime Dugin is advocating in their own countries. Dark Star Rising introduced me to all of these phenomena, along with many other related concepts, such as using Pepe memes as a form of chaos magick - a postmodern magical practice that stresses achieving desired outcomes through applied experimentation as opposed to rituals and symbols of traditional mystic practices. Lachman is an erudite scholar of occult history, and he combines his encyclopedic knowledge of esotericism with his ability to clearly explain complex ideas to good use in Dark Star Rising. He wisely avoids ascribing any kind of paranormal efficacy to occult practices, and instead presents what can, and often does, happen when zealous people apply occult-influenced ideologies to the real world. Here's my interview with Lachman about Dark Star Rising. Written by Michael Backes, a respected expert in the field, Cannabis Pharmacy is the most comprehensive, easy-to-use book available on understanding and using medical marijuana, with evidence-based information on using cannabis for ailments and conditions, plus a comprehensive guide to the most popular varieties.